I don’t know the full history of this devotion. I’m not sure where it first came from…but it’s great and there are a lot of options! The basic premise is that the Jesse Tree plan touches on the whole of Scripture to share the story of God’s rescue plan in Jesus. We start with creation and watch as the need for a Savior is apparent and promised from the moment Adam and Eve eat that fruit. The plan takes you though the old testament and into the new… right up to the birth of Christ. In most plans, there is some type of ornament for each day. You can hang them on your Christmas tree, wall, collection of twigs in a vase, etc. I LOVE this for little ones. 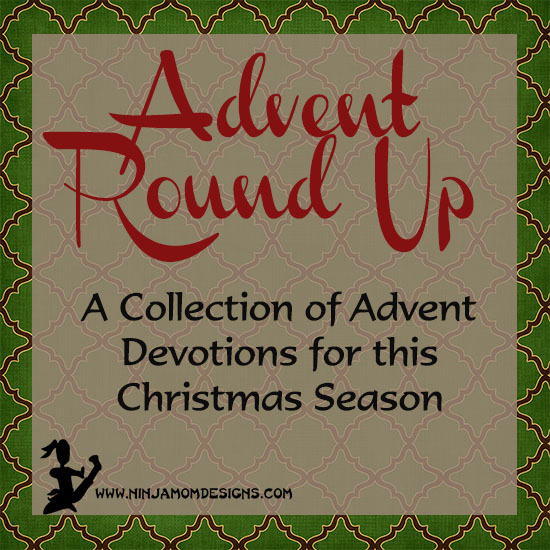 It’s a hands on Advent Devotion. There is a craft/ project every day. When we did it, I gathered all the crafts and sorted them by day before the month began. We were prepared and enjoyed what each day brought. We were introduced to these a few years ago. I think they are great for upper elementary- middle school. Each book is a story that will last the entire Advent Season. They are set in Bible times and follow a child’s journey to the birth of Christ. Perfect for Read Alouds. Do you do an Advent devotional/ activity with your family? Please comment and share with us! I hope you enjoy the anticipation and joy of the Christmas season.